...In 1422 at Houston, for the first time during Ashara Mubaraka in the west, the umeed of Zarih was expressed. Blessed are Mumineen from all corners of the world who gather to listen to Kalemat Nooraniya. At Indore, India, this year Huzurala expressed the umeed with great fervour and emotion. Moula TUS has expressed the desire to construct the Zarih at all occassions. Whenever the name of Fatima (AS) is mentioned, the Holy land of Baqi comes to sight...whether it be at Ashara Mubaraka, Dawat Majlises, Getherings, Masajid Iftetah, we remember Moula TUS's ummed. Mumineen all around the world are praying for Moula's TUS umeed to be fulfilled. Huzurala(TUS) expresses the umeed of Zarih at all times and at every place. It is a dream that every mumineen would want to be true. Inshaallah will be!. With the blessings of Panjatan Paak(AS),Imam Uz Zaman (A.S) and Du'at Ul Mutlaqeen it will be true. May Allah bless us and give us the courage to pray for the Zarih Mubarak of Rasulullah (SAW) and Moulatena Fatema(A.S.) at Jannatul Baqi in Madina. "hawe ek umeed baaqi chhe. Em shoq ane walwalo chhe, Rasulullah SAW ni zarih sona chandi si banau. Fatema ni zarih banaau!." 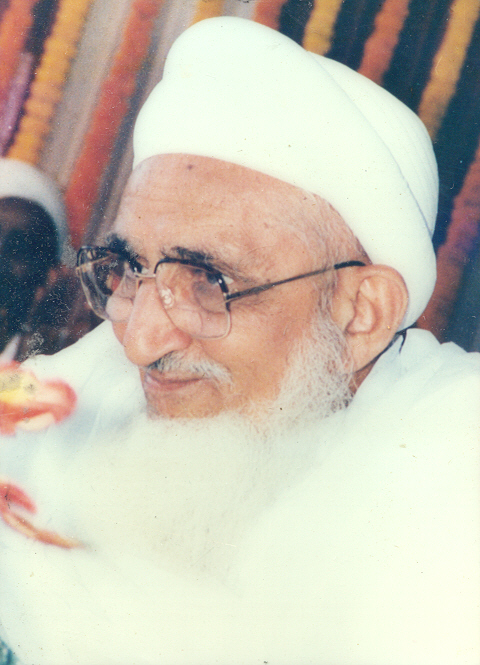 -Syedna Mohammed Burhanuddin Saheb (TUS) -On 8th Muharrum Ul Haraam,1425- Ashara Mubaraka- Dubai, U.A.E. "Ibrahim (AS) ni Zarih...Sonu ane Chandi si Ibrahim Nabi(AS) ni zarih bane...em umeed che, ane mumineen moti umeed to ye che! Rasullulah (SAW) ane Moulatena Fatima ni Zarih banawye..."
"Ibrahim(AS) koun ke JADDE RASULULLAH(SAW) (Ibrahim, the forefather of Rasulullah(SAW)). Hamne shouq che ke Ibrahim(AS) ni Zarih banaawe. Hashim(AS), Jaffer ut Tayyar(AS) sagla ni Zarih banaawi. Aa Zarih kem nahi?" -Syedna Mohammed Burhanuddin Saheb (TUS) -On the day of Milaad e Maimoon, in Karachi -1421. This is a plot of land not far from where the mosque of the prophet stood and the houses of his companions around it were built as living quarters. This land was used as a cemetery for the Muslims. 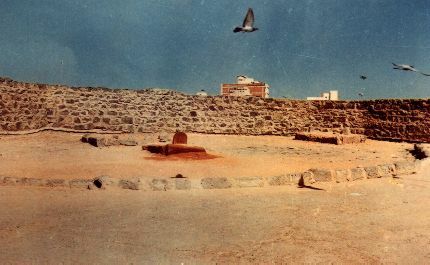 Baqi lies to the west of the town of Madina and here are graves of Ibrahim(AS), Prophet’s only son and also the grave of his daughter Fatima(AS). There are graves of Prophet's grand son Imam Hasan(AS), Imam Ali Ibnul Hussain(AS), Zainul Abedeen(AS), Imam Muhammad Baqir(AS) and Imam Ja’afar Sadiq (AS). The cemetery of Baqii, as in the history of the shrines, was destroyed by the Wahabis in 1932. "It looked like a town was razed to the ground. All over the cemetery nothing was to be seen but little indefinite mounds of earth and stonesblocks of stone , pieces of timber, iron bars, and a broken rubble of cement and bricks strewn aboutbeen. It was like the broken remains of a town which had demolished by an earth quake, . All was a wilderness of ruined building material and tombstones, not ruined by a casual but raked away from their places and ground small." (Islam World). 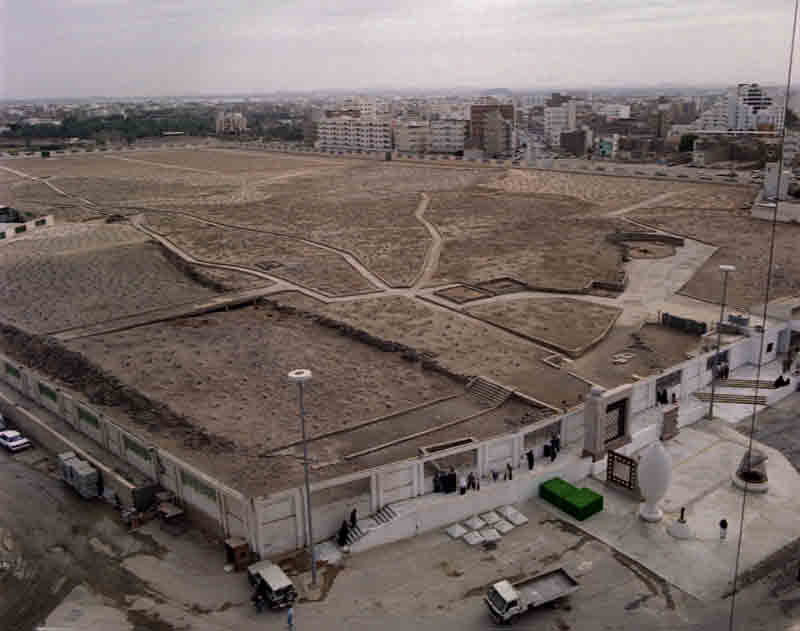 The authorities have erected a wall around the whole area of Baqi incorporating also the jewish part of the cemetery in it to make it into one huge cemetery. A platform has been built just outside the wall where people can stand and see the graves of the Holy Masoomeen(AS) and shed a tear or two. People are not allowed to enter the inner circle of the wall or to go near the graves. They have to stand about 30 feet away from the place and can see the outlines of the graves. 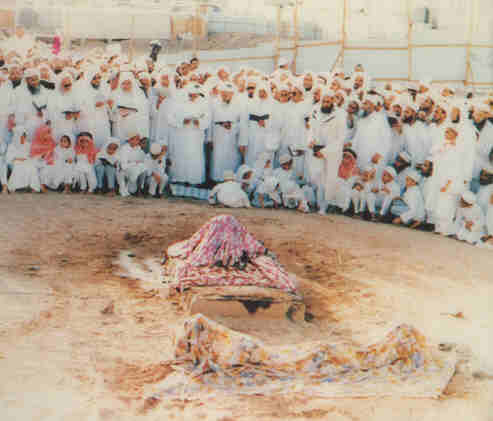 This is Jannatul Baqi where the grave of the most beloved daughter of the Holy Prophet (SAW) together with her children and grand children lies in wilderness without even a roof over them!. 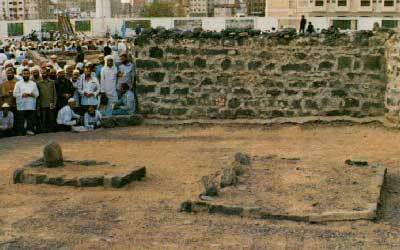 O'mumineen, how can we forget Jannatul Baqi. How can we forget Qabr e Fatima(AS). Mowlanal Mina'am(TUS) has repeatedly spoken about Mowlatena Fatima(AS) and the anguish and torment that befell on the on the house of the Holy Prophet(SAW) after the Prophet(SAW)'s demise. Fatima tus Zahra(AS) went through a lot or pain and agony after the death of the Holy Prophet(SAW). O`Mumineen, these sufferings even continue today after fourteen centuries; the Qabr Mubarak of Fatima(AS) and her children and grandchildren lie open and bare in Baqi. The sufferings are not only on the Ahle bait(AS), but also on the shia of Fatima(AS);(Dua'at ul Mutlaqeen) and the shias of Duat ul Mutlaqeen. We are barred from performing ziarat in Baqi. Today,look around! Zarihs and Turbats have been built for Imams and Duat ul Mutlaqeen in great pride and splendour BUT Qabr e Fatima(AS) still lies open, bare and without a roof. We sincerely pray that the Zarih of Nabi Ibrahim (AS) and Zarih for Fatima(AS) be built. 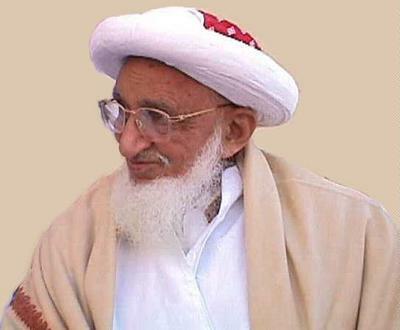 We are sure that Zarih e Fatema is also the umeed of all the mumineen today all around the world. We pray to Allah Subhanahu to make our dreams come true. NO COPYRIGHT ©2000-2004 AlibhaiFamily Media Inc. Please feel free to copy any part or section of this site and transfer, publish, post, print,or distribute on any other media or web. No prior permission required. Please do so to support the real cause. 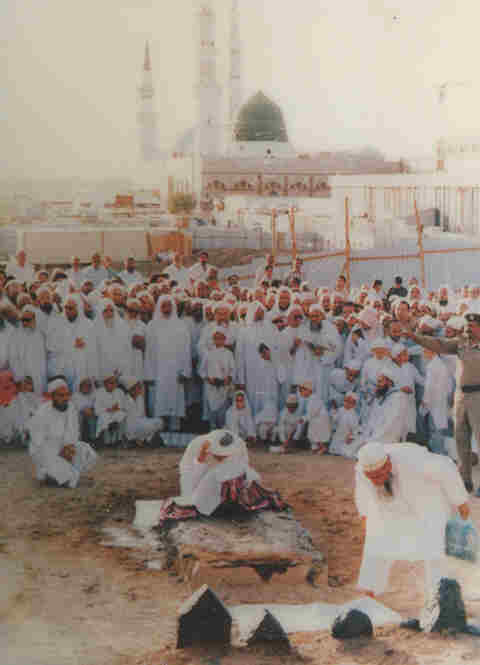 Pray with us for a Zarih at Jannatul Baqi.